We were right on side lake. Nice beach at McCarthy. Good fishing. No lake view at any of the sites. Nice showers and restrooms. Spacious sites. Lots of hills. No lake view. 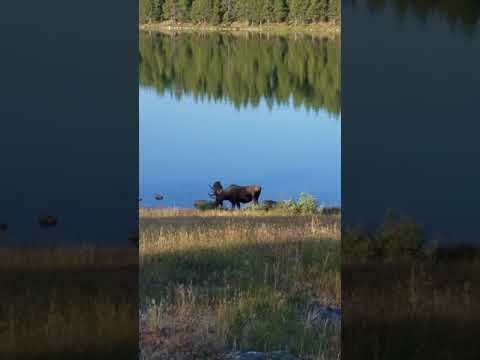 Wr saw a moose by the lake one morning. Open parking spots. Great host! Right next to railroad tracks! Be aware! There are trains that run all night. They are right next to the campground. Coin showers and laundry. Drive through sites.the hot springs pool was hot and nice to relax. The TV parking is very tight. You will need a water pressure regulator. The sewer hose is raised. Coin laundry and the showers close at 10pm.